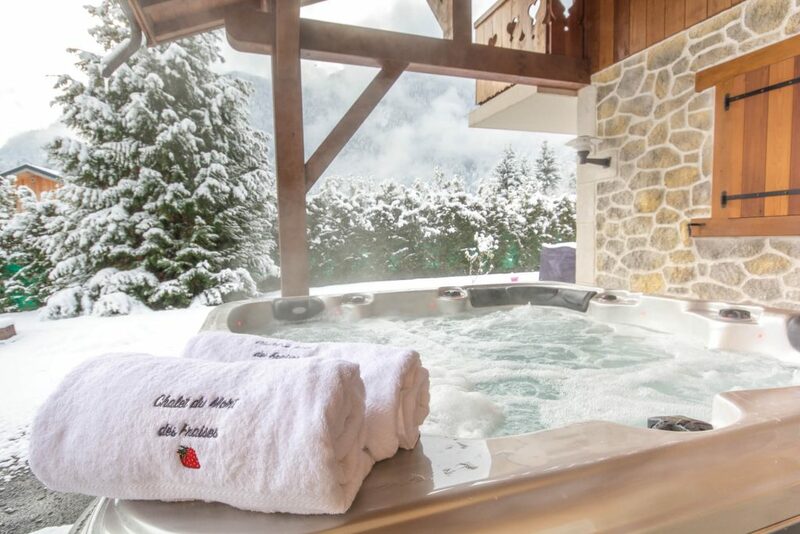 After a hard day’s skiing on the slopes of the Grand Massif, what better than a relaxing soak in your own private hot tub? 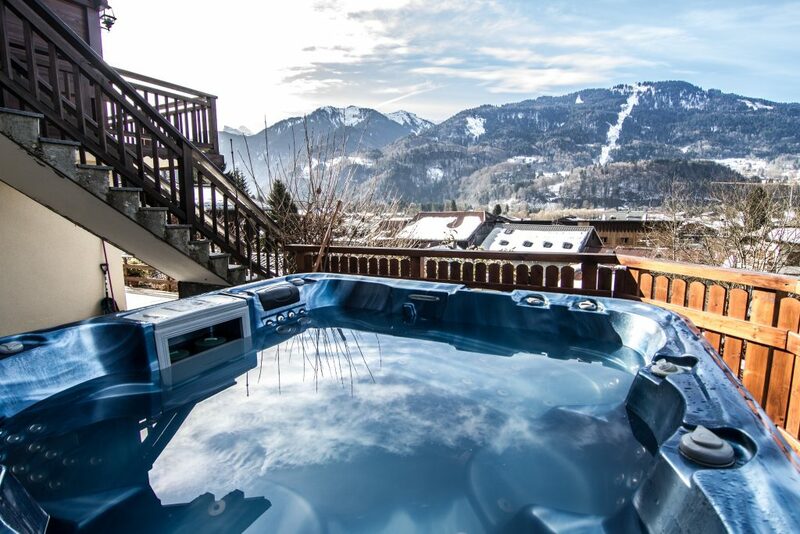 Available for rental in and around Samoens, these stunning ski chalets each boast a private hot tub for guests’ unlimited use. Heating your muscles a few hours after exercise can help ease pain and aid muscle recovery. 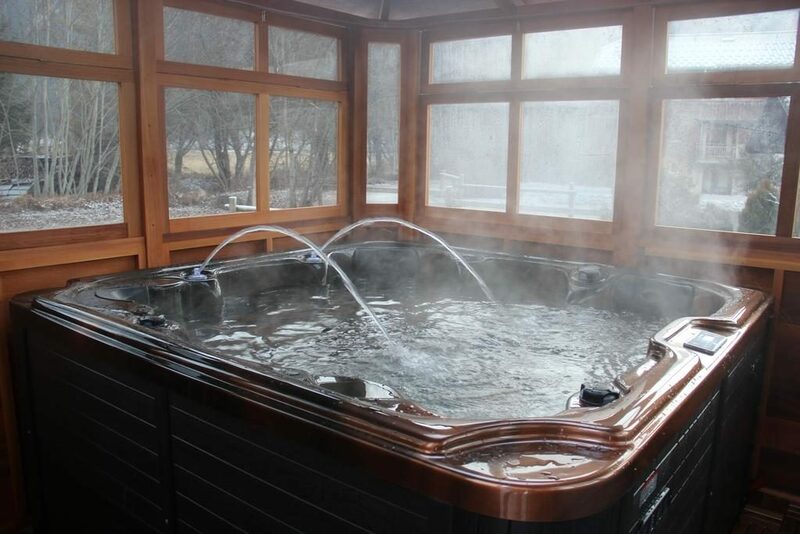 A hot tub isn’t just a novelty that adds a level of sophistication to your holiday; it can also be an excellent facility to assist with post-ski recovery. Warming your muscles post-exercise increases blood flow and improves oxygen flow, which helps with muscle repair. Experts advise waiting a few hours after exercise before hopping into a hot tub and recommend ensuring that you are thoroughly hydrated. Enjoy your après-ski in one of these tubs! Make the dream a reality by clicking on the photo of your choice to book a luxury ski holiday in Samoens. 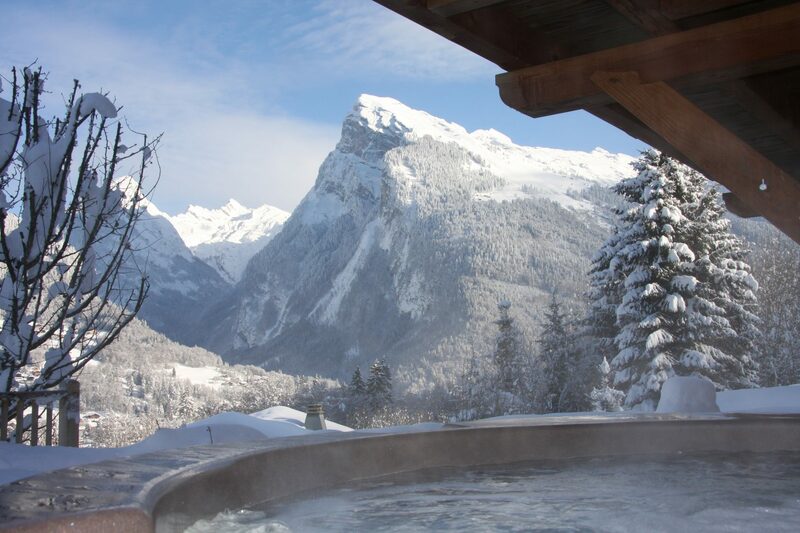 The views from Chalet Apassion‘s hot tub are second to none. Boasting a stunning panorama of the Criou summit and overlooking all of Samoens village, this is an outdoor spa that you’ll never want to leave! Chalet Toubkal‘s hot tub is nestled amongst the agricultural plains of Vallons d’en Bas, at the foot of Samoens’ iconic Criou mountain. An ideal place to kick back and watch the world go by on a gorgeous winter’s day! A huge indoor spa awaits lucky guests at Chalet Samoens. 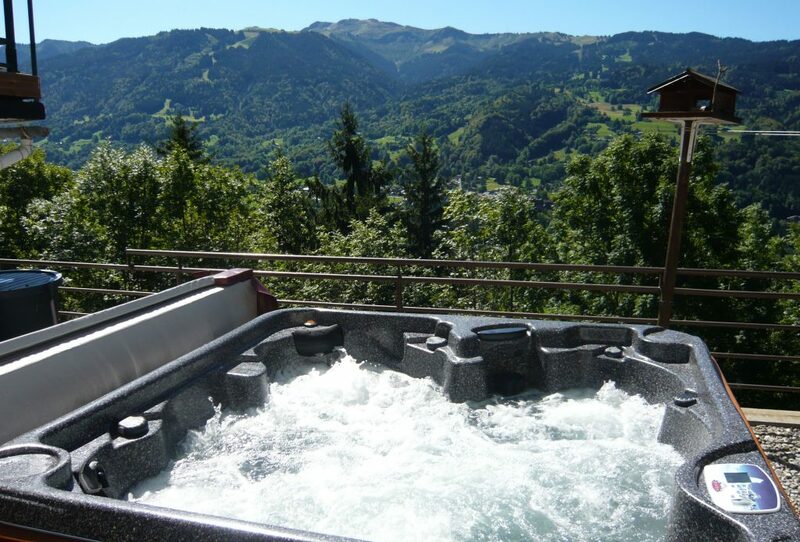 Located in central Samoens, this hot tub offers views over Samoens’ charming medieval streets. The outdoor spa at Chalet La Roche overlooks the rooftops of Samoens village, offering a sunny, south-facing aspect and views over to the Grand Massif ski slopes. 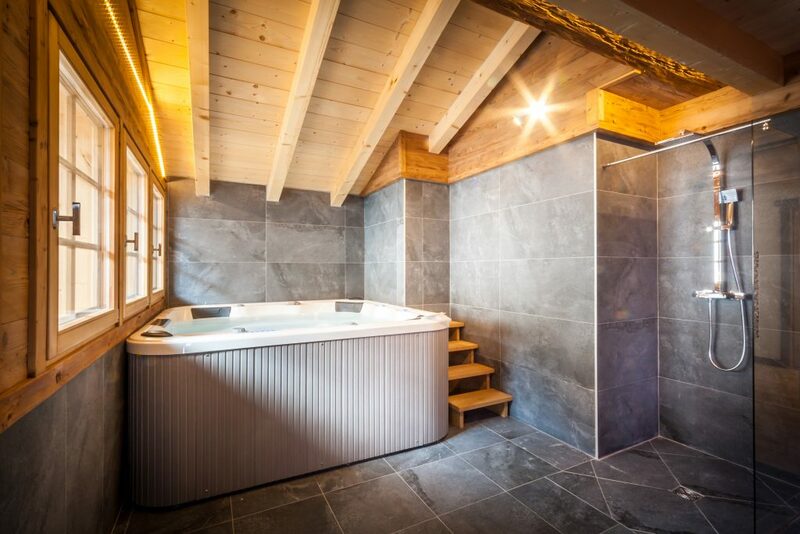 Just one of chalet Ferme du Ciel‘s many luxury amenities, this inset hot tub has its own dedicated balcony space nestled privately within a charming farming hamlet. Chalet Lavieu, in Samoens, boasts a hot tub within a dedicated gazebo, guaranteeing optimal spa conditions, whatever the weather! 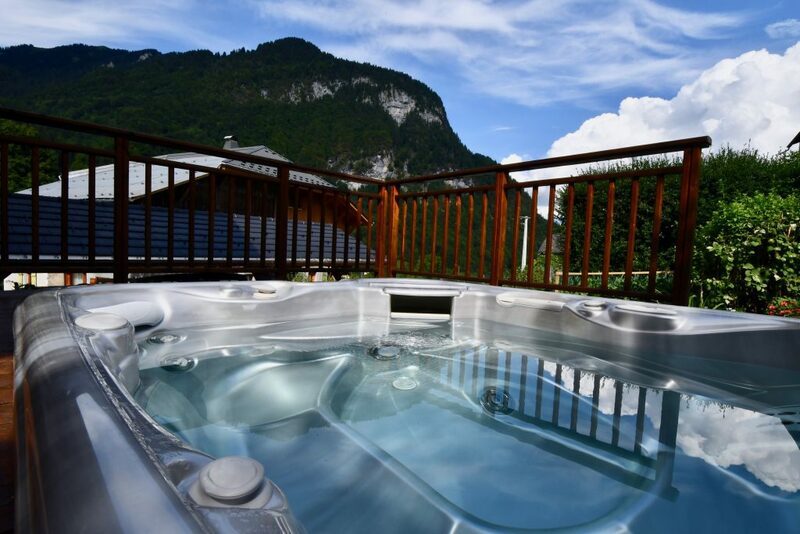 A beautifully appointed hot tub awaits guests at Chalet du Mont des Fraises, Samoens. This outdoor spa overlooks the property’s private garden, offering privacy and space. This is a hot tub with a view! Newly renovated, the La Terrasse de Verchaix‘s stunning panoramic views are best appreciated from its divine hot tub, overlooking the Grand Massif’s ski slopes. 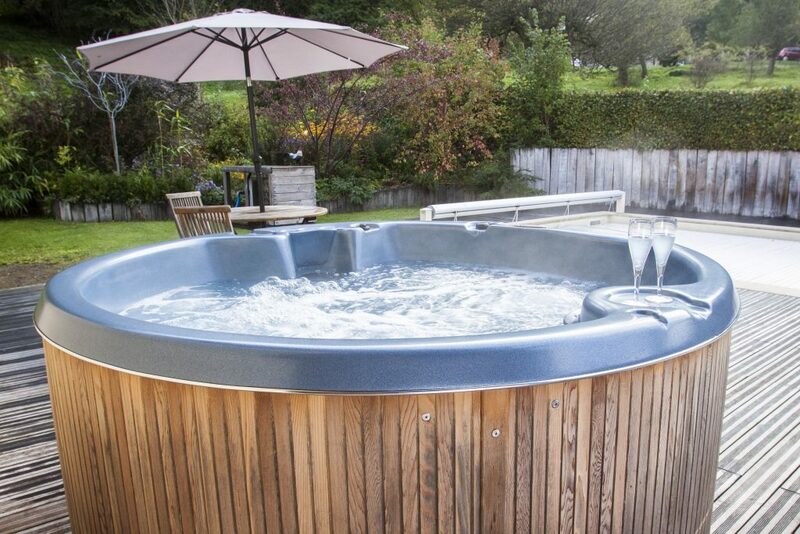 Nestled in a charming rural hamlet beside Samoens, Chalet Brio‘s outdoor hot tub is the ideal place to relax after a day of adventure – summer or winter! 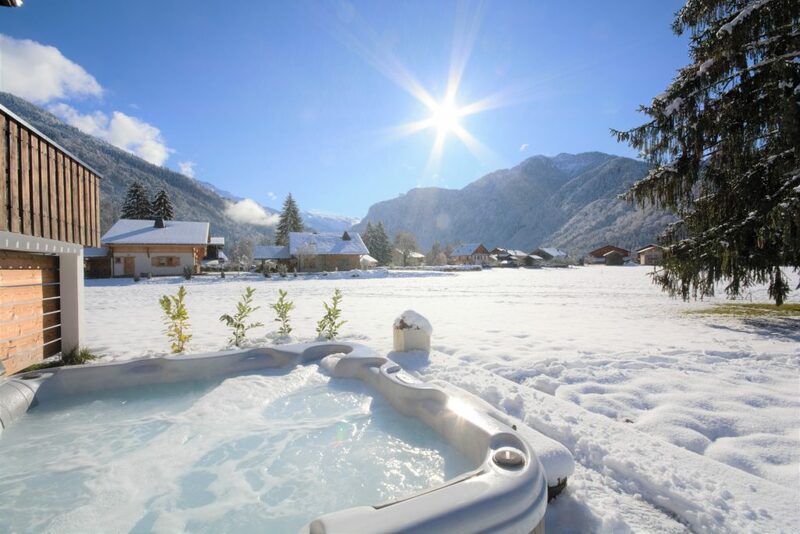 Surrounded by impressive peaks in the heritage listed hamlet of Salvagny, Sixt-Fer-à-Cheval, the hot tub at Maison La Cerisaie offers a haven of tranquility and reflection within a stimulating alpine environment. The ZigZag team knows Samoëns intimately. There is a huge range of gorgeous properties to choose from and we can point you in the right direction if you need help choosing a ski holiday rental (with a hot tub, or without!). Get in touch via our contact page – we’re more than happy to help.